Have you ever been ready to let your demon flag fly, only to realize that you don't actually have any demon wings of your own. 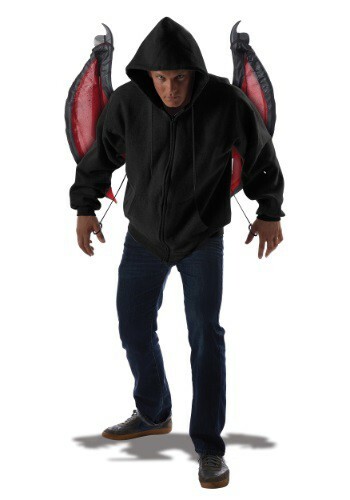 This Bloodnight Wings Accessory makes sure you always have a spare set of demonic wings hanging around for when you feel like making trouble, but don't have the time to wait around for your own set to grow out of your back! So you've always wanted to become an angel but you just didn't quite know how to get your wings. Don't worry, we've got you covered! 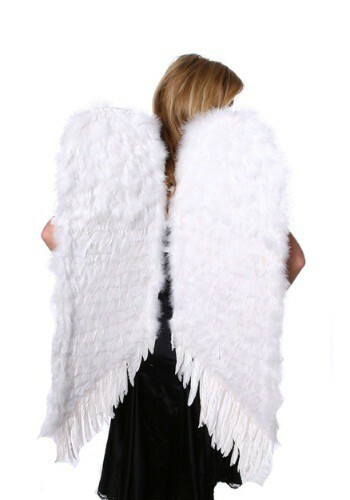 This wing set will let you be the angelic spirit that you've always wanted to be. You won't be able to fly (sorry!) but you will look cute and downright heavenly! Peacocks use their gorgeous feathers to attract a mate. Is that what you will use these Natural Peacock Wings for? Proudly display your pretty patterned plumage for everyone to see. They will photograph beautifully and you'll grab everyone's attention while your shaking your tail-feather out on the dance floor! Haunt dark places as a demon when you add this Wicked Wings Accessory to your scary costume. You can by a gargoyle, or a dragon, or any other fearsome creature!